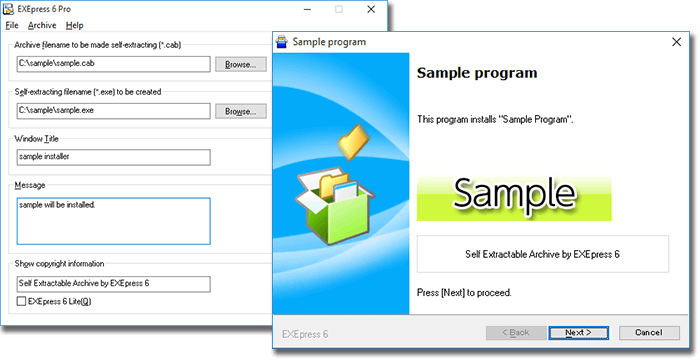 EXEpress 6 Pro | Web Technology Corp.
EXEpress 6 is a flexible tool to create self-extracting installation wizards (interactive) quickly. Allows flexible customizations such as icon modification, and also provides an SDK for developing function expansion modules. Also supports increased application development efficiency because command line execution is also supported. Proven track record with over 1 million installers used. Reliable functionality and quality are provided at a low cost. 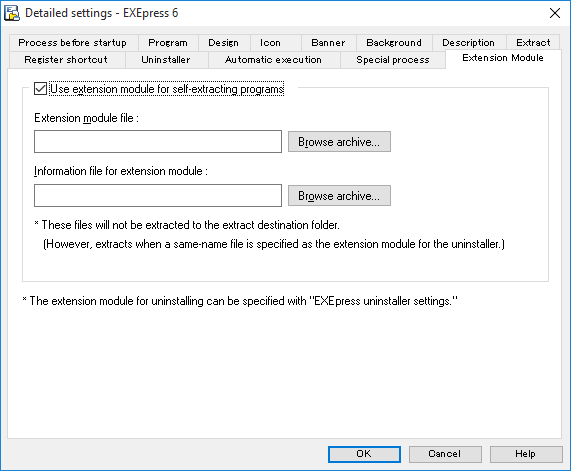 Self-extracting installation wizards (interactive) can be created quickly. In addition, you have the flexibility to make a wide variety of settings from design to operation such as limiting the OS, specifying the install location, and setting automatic execution. 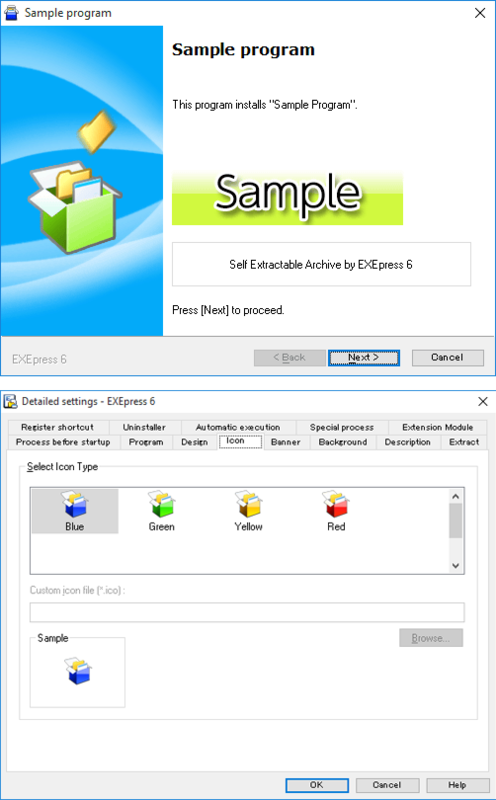 Extensive customization is possible such as creating a new style installer with EXEpress 6 Pro for Windows 2000 and later, and supporting original icons. Over 1 million have been used with several well-known software titles. You can create stable, reliable, quality installers. Web Technology uses this tool for creating installers for the OPTPiX imésta series and OPTPiX SpriteStudio. Supports creating installers with command line operation. You can automatically generate the installer in the work flow by combining with the automatic build tool in the Jenkins server. Makes operation more efficient with test operations during the development period. An SDK for developing extension modules is provided. Special operations that cannot be achieved with EXEpress functions only can be supported by creating extension modules. An installer that will run only on the specified versions of Windows can be created. For example, you can set the installer so that it will not run on versions prior to Windows 8.1. Also, you can create installers for the 64-bit version of Windows that will not run on 32-bit versions. A text file can be displaying during installer execution. Both English and Japanese are supported, and the displayed content can be automatically switched according to the environment. Installation can be set to begin after the "Agree" button is pressed. The created wizard supports languages other than Japanese. When run on non-Japanese OS systems, the wizard messages are automatically switched to English. Files contained in the installer can be registered in Windows as COM servers/Active X control. Improves security by supporting checking digital signatures (Authenticode), and if a file has been tampered with, the installer can be set to not execute. Non-Japanese Windows is also supported and the messages and window notations become English. Can also specify "Unknown Windows Client" and "Unknown Windows Server." EXEpress 6 comes with an archive file creation tool, but archive files created by external archivers supporting the CAB format can also be used. 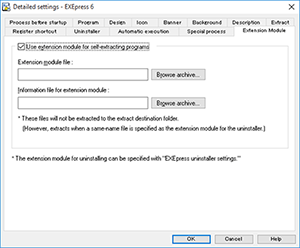 EXEpress 6 supports MSZIP and LZX15 - 21 formats. You can use the software as trial mode for the purpose of evaluation for the period below. lease note that due to the nature of the product, returns after purchased are not accepted.